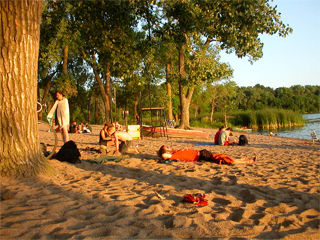 Minneapolis is an incredible place to live, work, and play. Our theater, arts, and music scene are world-class. Our parks and trails are phenomenal. We have some of the most talented chefs in the nation. Our populace is diverse, well-educated, healthy, and politically active. We have so much going on, that one who finds themselves bored is surely not looking around! 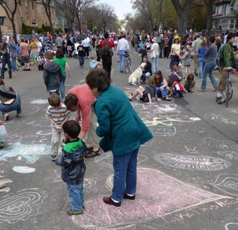 When I picture what we could be doing to make Minneapolis even better, I see several important priorities. I see a city where we make it easier for our many talented residents and entrepreneurs to get off the ground. Starting a business is difficult and risky enough; the city does not need to make it even harder. I will work to reduce the red tape and actively support the small businesses that help shape our neighborhoods, bring life to our communities, and create jobs. I see a city that can take the reins of its sustainable energy destiny and leads the state in advancing the rights of citizens by fighting for the right to marry whomever you choose; a city that returns civilian oversight to police investigations, and one that continues to grow the bicycle culture, lay new tracks for public transit, and promote urban agriculture. We have a duty to take a stand and push for city and state legislation that benefits our residents, whether expanding rights or rails. I see a city that moves beyond our recent D- rating for spending transparency by providing account-level spending details that are organized and easy to search and navigate, and legislative records that make it easy for residents to see how their representatives voted. I see a city with the potential to become a model for improving democracy that other cities turn to. With my experience in information technology, I will take a lead at City Hall to ensure we run an open and accountable government. I see a city that finds ways to lower property taxes by reducing wasteful spending and improving operating efficiency - one that doesn't take funding away from our schools and parks nor burdens small businesses with new taxes and fees in order to provide $890,000,000+ for a new stadium. I won't gamble or give away your money on massive projects or corporate welfare nor will I renew no-bid contracts without looking for ways to maximize value at a reasonable price to taxpayers. I see a city that empowers community organizations rather than taking money from them, that gives them the resources they need and turns to them for priorities and input. I will form strong partnerships with our community organizations, improve their funding, collaborate on projects, and give them a stronger voice within City Hall. Most importantly, I see a city where you know your representative. Where your representative puts you first instead of special interest groups or lobbyists who buy favors. I will be that representative who is easy to get a hold of and consistently asks you, "How am I doing?" I will always listen and be open-minded. I will work very hard and study each issue carefully, doing my due diligence and research. I'll look for creative solutions, new ideas, and leverage our talented residents to help. I will never forget that as your City Council Member, I am your public servant and a steward of the seat you put me in.